So it’s been a long year no doubt! The suns finally coming out in Melbs and you’re looking to get out of the city because the traffic has been driving you bonkers and you’re looking for a quick escape. Firstly, same. Secondly, there’s no need to do any research because we’ve listed a bunch of places for you! These are our top pics for a day trip in Melbs to help you relax and take a well-deserved break! Summer bod ready or not, the beaches in Torquay will have you slapping on sunscreen and in the water in a heartbeat. Front Beach in Torquay is Torquay’s most popular family beach as it usually has low waves, so it’s perfect for those of you just wanting to go in for a dip. It’s a beautiful beach for soaking up the sun and cooling off. Plus, Torquay is only an hour and a half away from the city. If you’re planning to go out to eat during your day trip, we recommend you head into Front Beach Taphouse and Restaurant. This place has 11 beers on tap, a good menu and a beautiful view of the beach as well. If you’re more on the sporty side, you’ll be happy to know that Torquay is known for being a surfing capital. 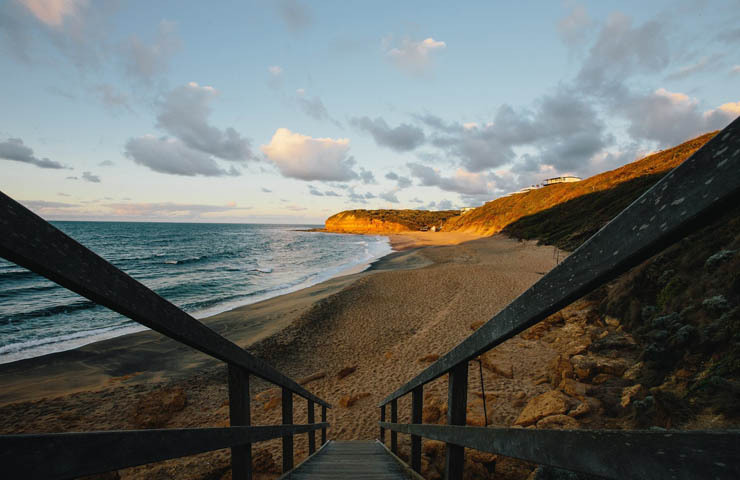 So if you’re keen to try surfing, then we recommend you try Bells Beach. It’s one of the most well known surf beaches, and is a great day trip activity that you won’t be able to experience properly anywhere else. TLC once said ‘don’t go chasing waterfalls’…well too bad because you’re going to want to do it anyway. Lorne is home to some of Victoria’s most beautiful waterfalls and is only around two hours from Melbourne. They’re big, bold and totally worth the walk. We recommended you check out Erskine Falls as the trail allows you to get super close to the scenery, so you can take the perfect insta pic that’ll have your dm’s flooded with those ‘omg where is this?’ messages. The greenery is magical and the best feeling is being able to go to the lower deck and feel the spray of the waterfall as it hits the rocks below. Not to mention, the smell of fresh air is super refreshing and calming. It’s the perfect spring/ summer destination for those of you looking to see some gorgeous views and get a fun workout in-between. It’s a fair walk though so make sure you’ve got water and a good pair of shoes on. The Bottle of Milk is the perfect brunch place to grab a bite after you’ve finished chasing waterfalls. They have plenty of food options including breakfast, burgers and coffee and it’s affordable. Lorne is also home to some beautiful beaches. Be sure to check out Lorne Beach and not to mention the Great Ocean Road. Lorne is almost two and a half hours away from Melbourne, but we think that’s part of it’s charm. We like to think of Mornington Peninsula as the perfect relaxation destination for you hard working Melburnian’s! Sometimes you just need a day to unwind, and we don’t mean staying in bed all day. We’re talking about a spa day under the sun, or stars if you’re a night owl. 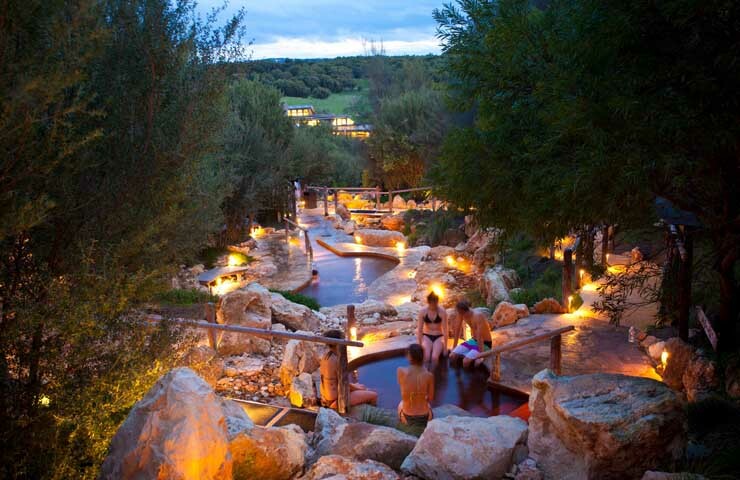 The Peninsula Hot Springs is a crowd favourite and an absolute must! It’s the definition of relaxation in our opinion. You can lay your head back into the calming waters that come from underneath the ground, and enjoy it in a spa or pool. It’s super relaxing and does wonders to help detoxify your body. We highly recommend the Hot Springs if you’ve been feeling a bit tense and are looking to kick back and cleanse your body and soul. When it comes to grabbing something to eat, then eating at Manhattan in Mornington is the place to go! This Italian restaurant has an amazing menu and is in collaboration with the Peninsula Hot Springs. You can grab two courses of lunch and dinner, a glass of wine and a coffee or tea! Plus, you get a public bathing pass to the Hot Springs, all for $120! If your childhood was anything like ours, then you most definitely would have gone to Puffing Billy as a child. So why not take the day to get into the nostalgia of your childhood and head down to the Dandenong Ranges. Yes, that old train is still going strong and we recommended you give it a go. 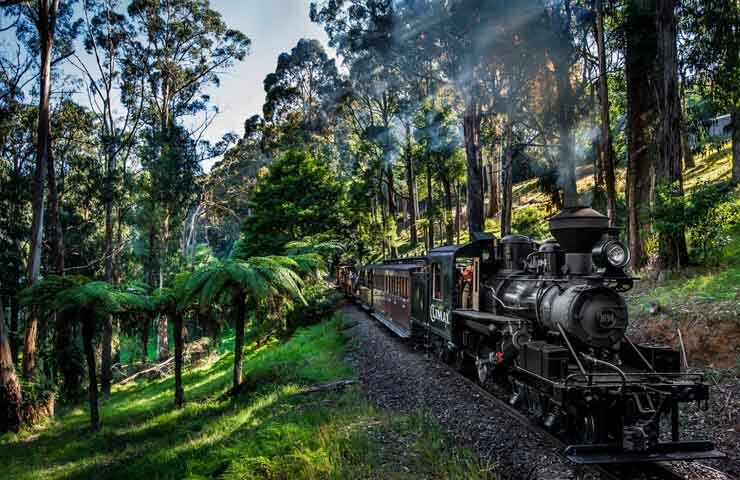 You can have an extra special experience on the train by dining while you travel through the Dandenong Ranges. It’s an intimate experience and a cute and romantic getaway. The Ranges are just over an hour away from the CBD, making it a super quick day trip destination. For lunch, Cafe Vireya is great for cake, coffee or lunch. You can enjoy a dine in experience or you can also book to have romantic picnic in the gardens! 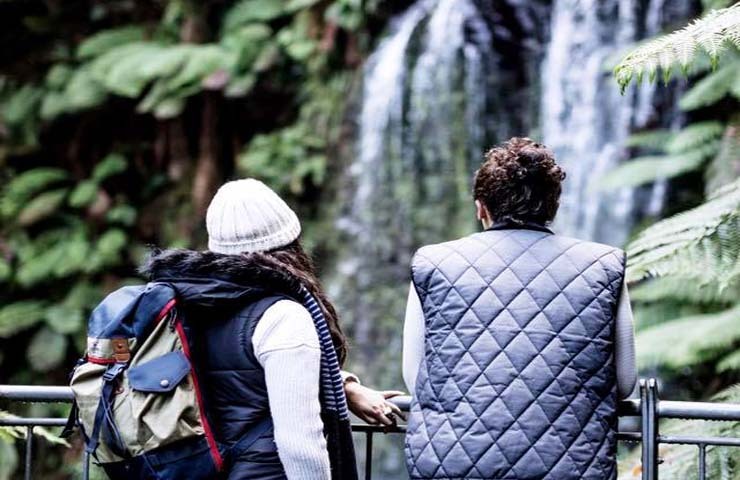 Dandenong Ranges is also home to some of Melbourne’s most beautiful gardens and William Ricketts Sanctuary is no exception. There, you can spend your day looking at 90 different sculptures carved into the rocks and trees of indigenous heritage. As well as showcasing beautiful and earthy artwork that’ll be sure to make your day trip worth while. Just because you want to get out of the city, doesn’t mean you have to give up your morning coffee and cake. At Yarra Valley Chocolaterie, you can satisfy those sweet cravings, but also enjoy the beautifully landscaped gardens. Here you can indulge in free chocolate and ice cream tasting and watch the delicious art of chocolate making. Yarra Valley is home to some of Melbourne’s best wineries. Literally, there are so many it’s hard to decide which one to choose! However, I think we’ve got just the one for you. Hanrahan Vineyard is an affordable and romantic way to enjoy both the wine and the scenery and we feel it’s perfect for a spring and summer day trip. Here, you’re encouraged to bring your own picnic. 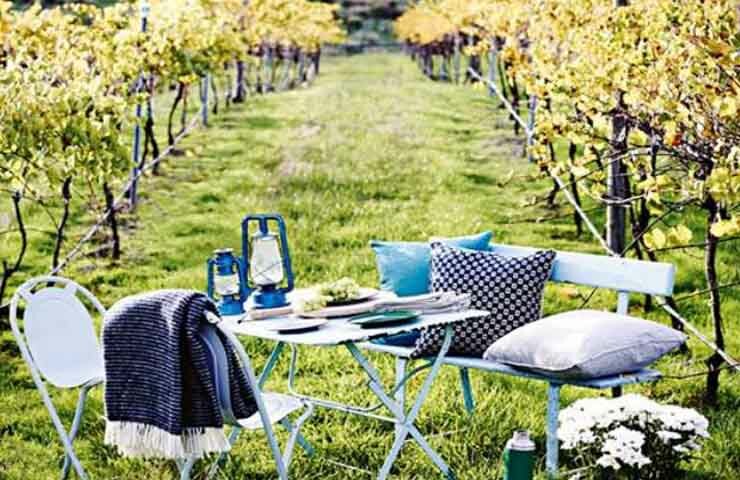 So you can lie down on the grass, enjoy the tastes of the Yarra Valley and soak up the sun. Yarra Valley is just filled with delicious treats I guess. Amongst all the other foodie activities, you can also go fruit picking! With so many amazing fruits being seasonal in the spring/summer time, picking fruit on your day off is the ultimate day trip activity. You get to purchase the fruits you pick, and we think there’s something really awesome about getting to see where the fruit you’re eating is coming from. It’s super cute and best of all, it’s fun! Yarra Valley is just under an hour and a half away from the city and is sure to have something for everyone.